Cisco’s Jordi Davieson can sound like the Australian love child of Thomas Mars and Ezra Koenig. But at other times, he, Scarlett Stevens and bandmates have a fair crack at psychedelic pop rock. ‘Wild Things’ is off their 2012 self-titled debut album. The sound has more than a touch of The Flaming Lips about it, which is never a bad thing. ‘Kids’ was the third single off MGMT’s album Oracular Spectacular. The duo are in town having played on Later live … with Jools Holland earlier this week. The single was a breakthrough for the band and one of the great synth pop records of 2008. From Brooklyn, MGMT were crowd pleasers in Blighty with their echoes of our great loves: the Flaming Lips, Supergrass, the Pixies and Suede. The album also features the enjoyable, fizzing ‘Time to Pretend’. But it would be ‘Kids’ that would live on for longer in its second childhood as Chiddy Bang’s ‘Opposite of Adults’. Have a great weekend. Regions of Light and Sound of God is the debut solo album by My Morning Jacket frontman Jim James. Released last month, the long player was preceded by the single ‘Know Til Now’. He wanted to create a sound “like a hazy dream” that “came from a different place in time.” The place is Yoshimi and the time is 2002. 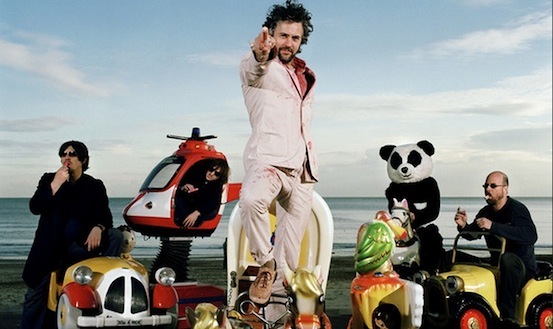 The lost, dreamlike sound is something that oft-collaborator Wayne Coyne would have imagined with the Flaming Lips to hand and Jim James on tenor vocals.